Transforming your dream kitchen into reality begins very simply -- by scheduling an initial planning session to discuss your remodeling goals and budget. We are designers not hard-sell salespeople so our visit will be an exciting opportunity to talk about the possibilities. Most people remodel their kitchens only once in a lifetime, so why not make it a fun experience! Perhaps you’ve admired neighbors’ new kitchens or baths, viewed exciting designs in stores, on websites or in a magazine. Now you are ready to take the next step. The possibilities are almost limitless and include such exciting options as granite countertops, drawer appliances, unique hardwood flooring, central islands, and ranges and fridges that are almost works of art. And of course, pulling it all together, beautiful custom cabinetry or semi-custom cabinetry. We’ll introduce you to a wide range of designs, colors and textures and we encourage feedback on what fits your own sense of style. Then, based on your needs and budget, we finalize a design that gives you the kitchen makeover of your dreams. If you need assistance with determining your budget, we can assist you with that as well. Taste is obviously a very personal choice, and while we always like to show you the latest trends, we place a premium on listening to you. 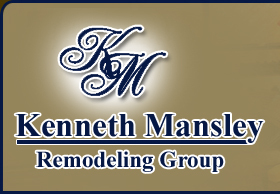 Take the first step by calling us today at 610-294-3068 or fill out and submit our project estimate form for a complimentary in-home consultation.